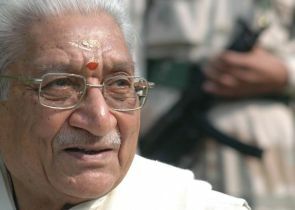 Senior Vishwa Hindu Parishad leader Ashok Singhal, who has been undergoing treatment at Medanta Hospital in Gurgaon, has been put on life support system and his condition is serious. "He is presently in the intensive care unit under treatment of a group of specialists comprising of people from critical care, respiratory, cardiology, neurology and nephrology," Dr A K Dubey told reporters on Monday. Singhal has been suffering from respiratory problems for over a month now. He was admitted to Medanta Hospital on October 20 after his condition deteriorated in Allahabad and was flown in to the national capital in an air ambulance. Keeping in view Singhal's bad health, the VHP has cancelled its 18-day 'Chaturved Swahakar Yajna' that was scheduled to start at Delhi’s Birla Mandir from November 16. The outfit also cancelled its 'Diwali Milan' programme. Guess who has been the best governor at the RBI?